ETA Jam Sulahry used the month of March learning more about the Kennedy-Lugar Scholarship (YES), but as he started to learn more about the program, the more he wanted to learn about the end result of the program. Jam found three recent YES Scholars who went to school in Washington, South Dakota, and Texas, and interviewed the group. The purpose of the interview was solely to learn more about their experiences and how it shaped them individually. However, Jam ended up being good friends with the three students and created a video for them. 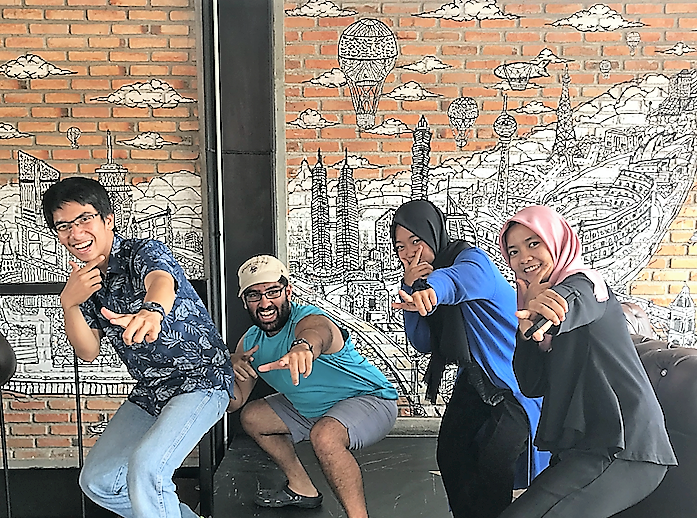 Jam built a strong bond with these college students and they ended up being friends who would spend time together regularly, speaking English, playing basketball, and having nasi Padang (local favorite dish).